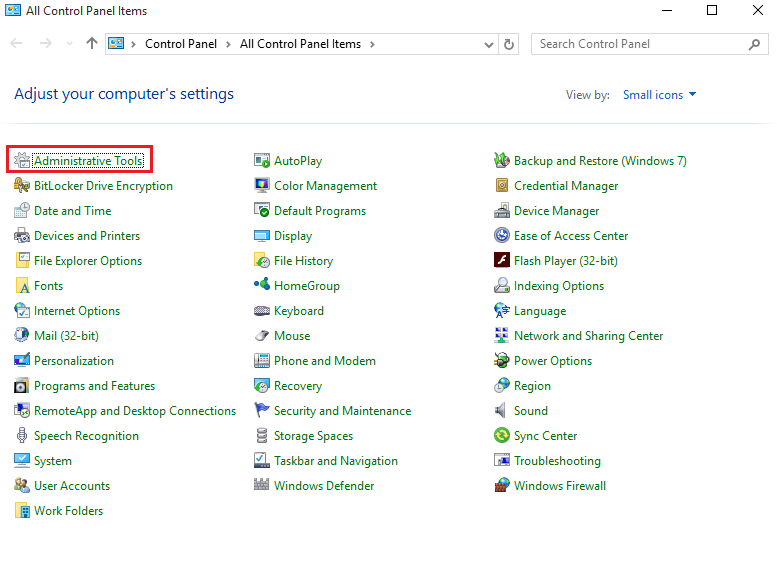 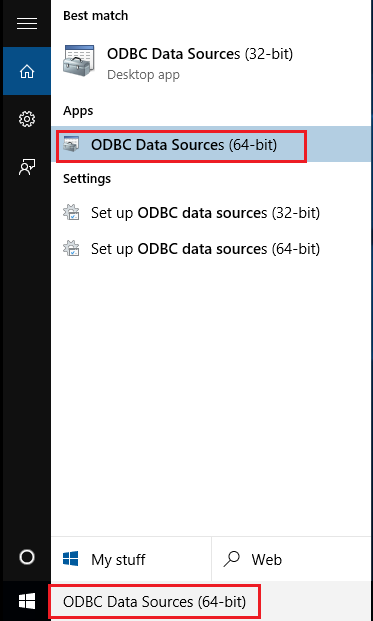 I am unable to find or configure the 32-bit ODBC Data Source Manager under a 64-bit System. 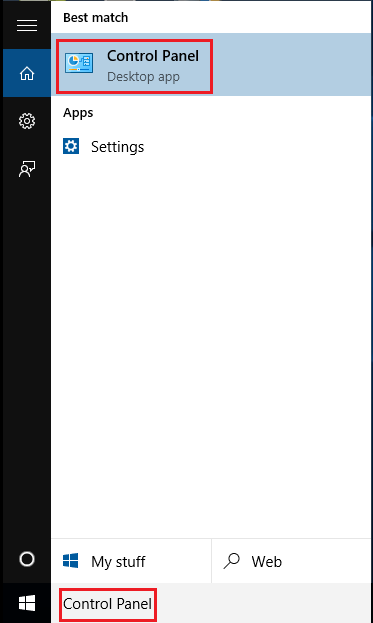 I will be more than happy to remote access to you and my server representatives to get this resolved. 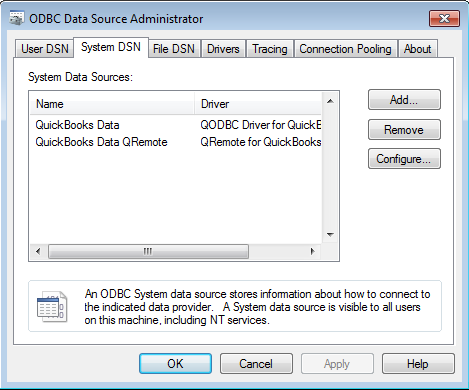 Configure QODBC Data Source is located differently in Operating System wise. 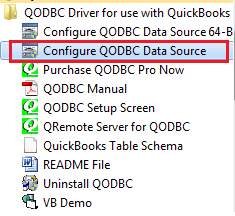 Please refer below steps according to your Operating System for locating Configure QODBC Data Source. 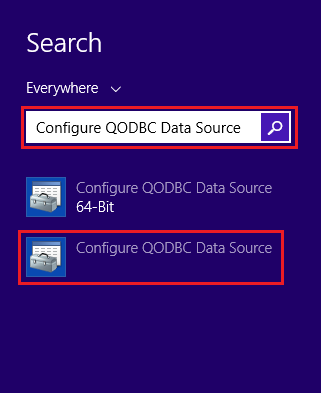 Click on Configure QODBC Data Source from a search result. 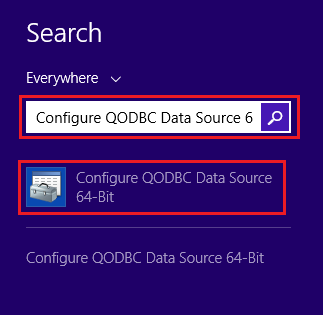 Click on Configure QODBC Data Source 64-bit from a search result. 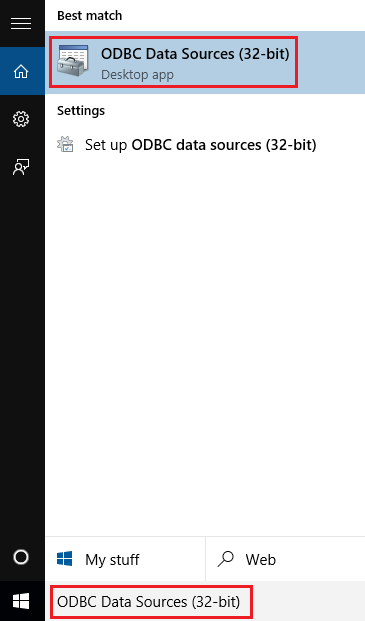 Click on ODBC Data Source 32-bit from a search result. 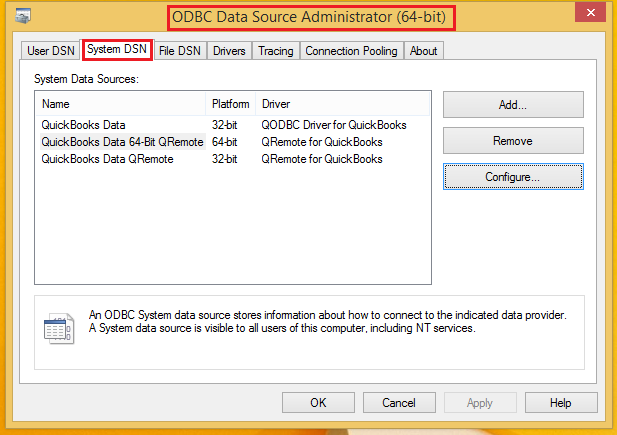 Click on ODBC Data Source 64-bit from a search result. 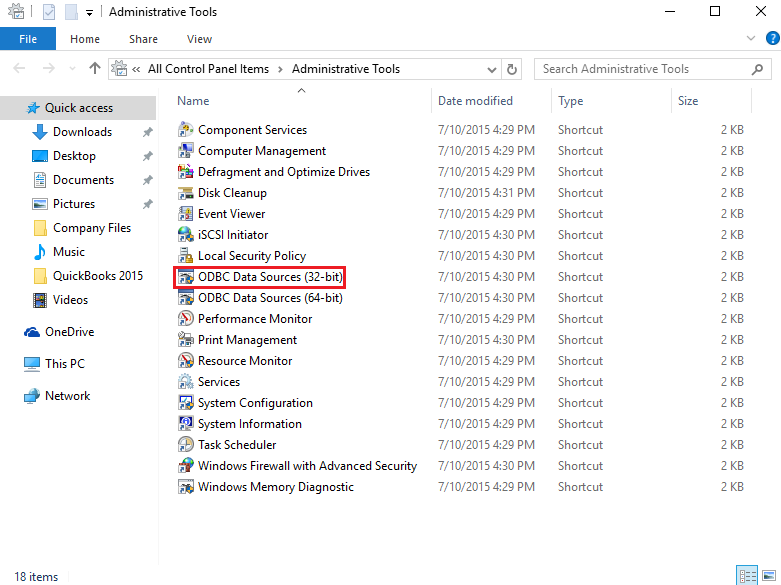 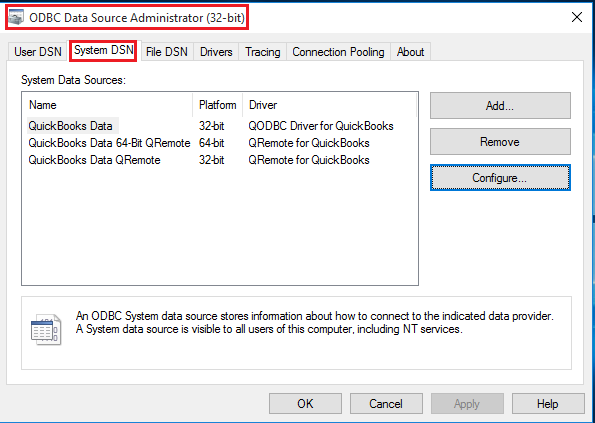 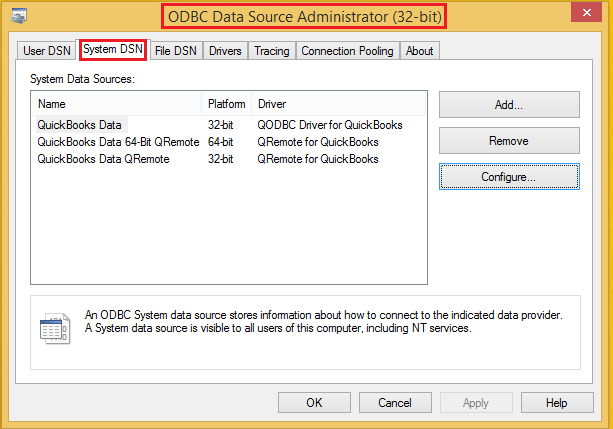 Click on ODBC Data Sources (32-bit) for opening 32-bit Configure Data Source window. 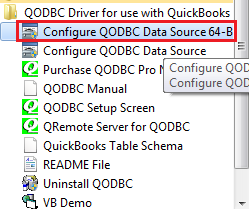 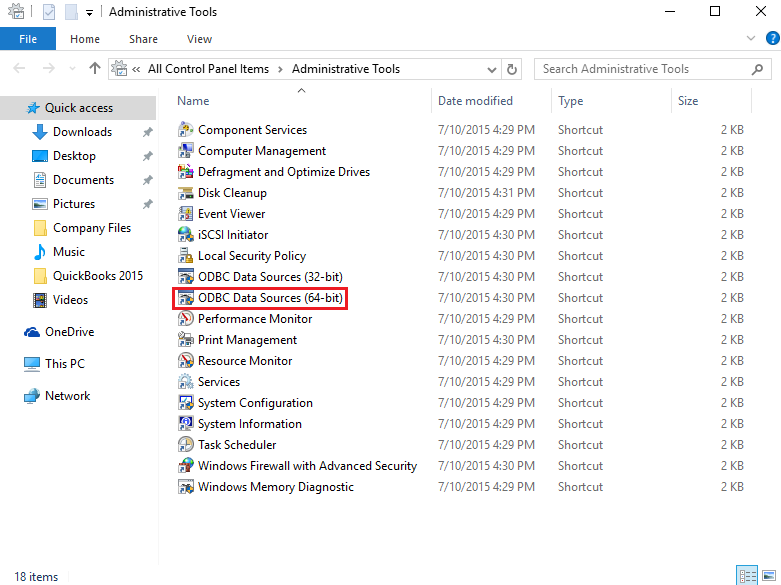 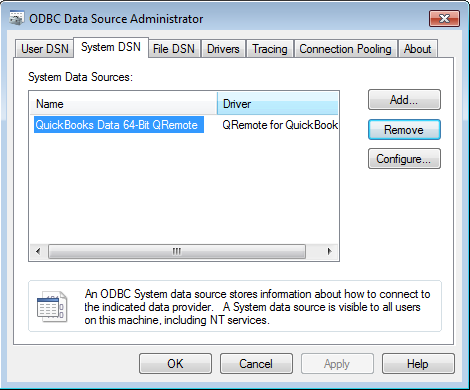 Click on ODBC Data Sources (64-bit) for opening 64-bit Configure Data Source window.